The president is coming to Missoula this week and I’ve heard discussions of using our hillsides as giant billboards for various messages. 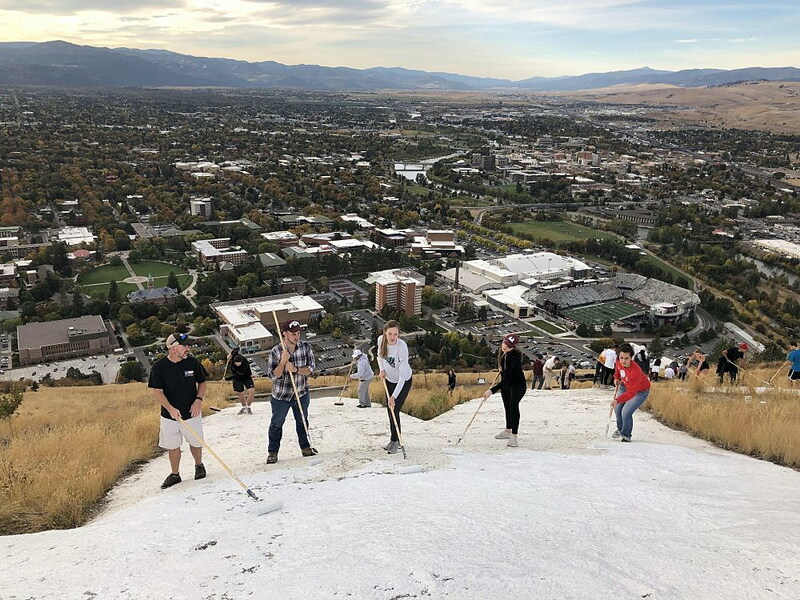 As one of the caretakers of Mount Sentinel (which is owned and managed by the University of Montana), I am asking that people do not spell out words of protest, words of support, or words of whimsy. Not this week, and not ever. Here is why. Every time someone has this idea, they think it is really creative. It is not. There have been signs on Mount Sentinel for everything from prom, to Red Ribbon Week, Mother’s Day, and about a thousand other things. Every time someone uses sheets or plastic or butcher paper to spell something out, it harms the mountain. The activity of laying out giant letters means people are trampling grasses and moving rocks around to pin down their fabric. This harms plants and causes erosion. If and when people return to clean up their letters (and they usually don’t), the same trampling and erosion are repeated. In sunny weather, the letters act like greenhouses and “cook” the plants underneath. Every time someone spells out a word on a hillside, it inspires others to do it. We’ve made big investments in open space in Missoula. Our hillsides and vistas are a big part of our quality of life and reflect our values. We have preserved these areas for recreation and viewsheds, but also for plants and animals. Let’s not demean our natural areas by turning them into billboards or jokes. You can always create something in Photoshop, or Instagram, or SnapChat. You can make your point digitally. UM’s policy is to not allow words (or art, like the giant polka dots that appeared in the 2000s) to be placed on the hillside. Mt Sentinel is a beloved landmark and natural area, and it’s my job to take care of it as best I can. I need community support to do this, and I’m asking for it now. Thank you so much for considering this perspective. Marilyn Marler is UM’s natural areas manager.